General Motors used to be known as one of the most unreliable car companies in the American market despite its massive size. But they seemed to have learned from their humiliation during the start of the recent recession. Their renewed focus has led them to make important changes. They just achieved yet another historic milestone by naming Marry Barra as CEO, the first woman to run a global automobile company. She also happens to be an engineer, the first engineer to hold the leadership position in about twenty years. This is not to say that the outgoing CEO Dan Akerson did a bad job either: he's overseen the design of several great cars that have revitalized the brand, but there remain more challenges ahead. GM needs to fix their image perception. 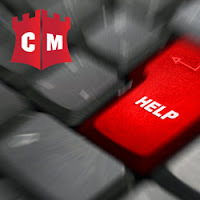 Being the leader in online reputation management, Centel Media™ understands exactly what that means and how challenging it can be without professional help. At some point in its past, GM became too big and had more growth problems than they could handle. But they examined their practices closely and had the courage to make large-scale changes. The latest decisions have included restructuring attempts in Europe, Asia, and Australia. They have even gone so far as to pull out entirely from some of these areas, ending the billions in losses they have suffered over the years from those locations. Rival company Ford Motors actually did the same in its return to success not long ago. As a consequence of being too big, GM's quality decreased. It wasn't until 2009 when the US government bailed them out did they probably realize how serious their manufacturing and image problems had become. The people noticed too: they quickly turned towards companies like Toyota and Ford as alternatives. This negative public perception contributed greatly to their downfall. Now with the US government exiting as a shareholder, GM has a great opportunity to recreate themselves in the eyes of the world. It is not often that companies can recover from bankruptcy, and GM should be grateful. If your company needs to improve people’s perception of it, Centel Media™ is here to help. Our top of the line online reputation management services can help you build a positive, trustworthy image. We supply a negative criticism suppression service covering articles, images, videos, and reviews. To promote the good your company has done, we also publish press releases and write Wikipedia articles for you. If you're committed to maintaining a quality company, we are only too happy to help you achieve your goals. Is the Sound of Music the Sound of Money? NBC has been in a hole for a few years now. They have had modest hits with several different shows that appeal to niche audiences, but they have not been able to secure a solid identity and viewership. Their latest attempt at breaking out of their rut has worked. Using a famous movie and a lot of advertising, the excellent Sound of Music, they broadcasted a live performance using new actors but retaining all of the classic songs. Audiences responded enthusiastically and beat skeptical expectations, scoring high ratings and almost 20 million viewers, a feat NBC has not managed to achieve on Thursday nights in four years. They even beat Big Bang Theory for the top network show. Clearly, an identifiable brand and a stellar performance were the winners that night. 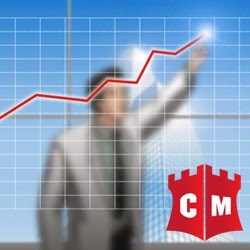 At Centel Media™, we understand how strategic marketing and careful reputation management can lead to phenomenal success. Before the show, critics derided it as nothing more than a desperate publicity stunt. They viewed Sound of Music as one of those American classics that should not be touched because there is no way to improve on it. While that point is debatable, nonetheless the film is a masterpiece of delightful artistry that stands on its own even today. So when NBC wanted to remake it, it was only expected that loyal film fans would react negatively before the new program had even aired. However, the warm reception to the live musical performance on TV has proven the critics wrong. People do want to see a great performance of a classic, even if it isn't exactly the same as the movie. In fact, rebranding may have been a key reason why the show gained such an astounding audience. While some people only want the original, a creative remake usually motivates many viewers to go out and see the 'improved' version. While people may debate if NBC’s version tops the original, it still manages to stand on its own merits. Proper advertising of their known brand is what gave NBC the success it needed. 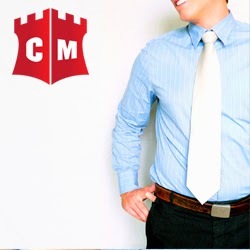 If you or your organization needs a professional hand in proper marketing, onlinereputation management firm Centel Media™ has the know-how to get you on the right track. In addition to our classic service of press releases, we also offer products which increase traffic to your website such as Google AdWords optimization, social media optimization, website design, and domain name registration. Be sure to take ample opportunity of all of the possibilities online branding gives in order to increase your sales and profitability. It has been proven time and time again that a well-designed website has many benefits for small businesses, but how many small business owners really have the knowledge to build one? Rarely can someone with little or no experience can put together an excellent website, even with the overpriced packaged template fill-in-the-blank options. A company page is a remarkably useful tool to have in your arsenal. Websites give entrepreneurs the chance to tell their brands’ story, engage current and potential customers, and experience growth. Having a professionally built website makes a difference and Centel Media™ can make that difference count. Here are just a few reasons why entrepreneurs should hire a pro to build their company website. 1. Outsourcing saves you time. Your time can be allocated to something else while the professionals handle your design needs. You can now focus on ensuring customer satisfaction, managing employees, or training staff. 2. Great design draws the eye to key information. A professionally created site will catch the customer’s eye. Designers are trained to know exactly what elements to place on a page and where to place them in order to maximize attention and encourage viewers to spend more time on your site. Images, charts, graphs, and superbly written content increase your sales. 3. Increased visibility on search engines. Professionals know how to apply SEO and have the expertise to effectively increase visibility of your site. Centel Media™ professionals can use Google AdWords and other strategies to improve your ranking in search engines so customers see you first. What you say and how you say it on your website affects your image and your reputation. 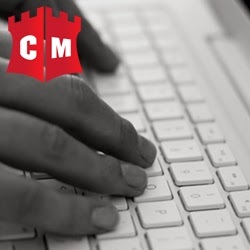 Centel Media™ provides professional writers who know how to perfectly word your copy so your business, brand, and reputation are exactly what you want them to be. 5. Wow them right away. Amazing design can impress a potential client immediately by reflecting the level of professional service that a company provides. You will not look like an amateur. If a brand new site isn’t in the works for you, improving upon a current website will give your company that professional edge it needs. Centel Media™ website experts can evaluate your current design and recommend changes to increase your visibility or engage your customers more. 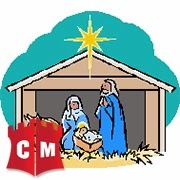 Centel Media™ also offers comprehensive reputation management services. Your online presence and brand image are important. Centel Media™ website design helps your business become all you want it to be. With the availability of e-readers and tablets increasing steadily over the past few years, it is no surprise that the world of print is making the leap to electronic books. Though readers may be disappointed to see businesses like Borders Books and Music disappear, the reality is that Borders did not embrace the web and ebook readers the way its competitor Barnes & Noble did. Tablets are becoming more easily accessible today as well because rivals of the Apple Ipad have released inexpensive alternatives that function about the same way. An author with a newly published ebook must have a plan of attack if he intends to make a profit and grow his brand. An effective and well planned ebook campaign will lead to increased exposure for the author, building his credibility and increasing his sales. That’s where Centel Media comes in. Creating a buzz online is essential to driving book sales. Centel Media provides comprehensive online reputation management services. Our team of professionals can provide services to enhance your ebook campaign such as press releases, Facebook and Twitter page design, unique and targeted social media optimization, wikipedia submissions, website design and more. But why publish an ebook over a printed text? Some authors are drawn to ebooks because they are green. No pages means no trees used. Some ebook publishers brand themselves around the concept of being environmentally sound. Ebooks are cheaper to produce. Some sites offer self-publishing options for ebooks in a variety of price points. It is also possible to find short online instructional courses to help format your own book. Ebooks are widely accepted. Colleges have embraced digital books, offering textbooks for digital readers at drastically reduced prices. Even some public libraries now offer digital books for readers to borrow. Ebooks can be sold across various retail websites such as Amazon.com , Apple iBookstore or even on the authors website or blog. A press release announcing the publication date, a top notch Facebook and Twitter page, a new website are all tools that can create the online presence that will make your ebook a success. Let Centel Media help you on your e-publishing journey.